After serving from 1984-2000 as minister of youth and education at FBC Tecumseh, Tony returned in September, 2010 as Pastor. He married his wife, Alicia, in 1982. They have two children, Kaitlyn and Cody. Tony is a native of Sulphur, OK. 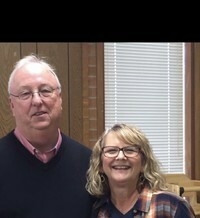 He graduated from East Central University in Ada in 1977 and spent five years as a public school teacher and coach. He received a master's degree in marriage and family therapy from Oklhoma Baptist University in Shawnee, OK, in 2007. Tony pastored at Mountain Valley Church in Howard, Co, from 2000-2002 and at Lovelady Baptist Church in Ada, OK from 2002-2010.